Provide comfort for the family of Jacqueline Simmonds - Hebert with a meaningful gesture of sympathy. 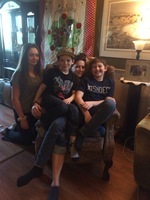 It is with great sadness the family of Jacqueline Emily Simmonds – Hebert age 41 years, announces her unexpected passing on March 12, 2019. Jacqueline was born September 16, 1977 in Thunder Bay, Ontario to Lois (McKay) and Lorne Simmonds. Throughout her life, Jacqueline had an effortless ability to light up a room with her contagious smile and free spirit. It was easy to tell when she entered a room as she was always singing at the top of her lungs and dancing to her own rhythm. With Jacqueline one could always feel her warmth, resilience and genuine being. She surrounded herself with friends whom loved her whole heartedly and in return she loved them fiercely. The greatest joys of her life were her three children, who she loved more than anything. In her later years, Jacqueline suffered from addiction; a disease she battled day-to-day with perseverance. She was a tenacious, persistent fighter, who lived every day with strength and love. Jacqueline will forever be remembered by her determination and courage. She leaves her memory to her husband Todd Hebert, her children Shastyn, Dezmond and Kash, mother Lois Simmonds, mother-in-law Gail Hebert, sisters Glenda Bruyere (Curtis), Samantha Olsen (Eric) and sister-in-law Michelle Waibel (Brian). She will be forever remembered by her nieces, nephews, extended family, and dear friends. Jacqueline was predeceased by her father Lorne Simmonds and father-in-law Louis Hebert. The most painful goodbyes are the ones that are never said and never explained. Jacqueline will be truly missed and never forgotten. 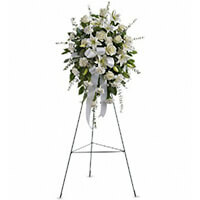 To send flowers in memory of Jacqueline Emily Simmonds - Hebert, please visit our Heartfelt Sympathies Store. Donations are being accepted for: TEEN CHALLENGE CANADA INC..
Bryan Mckay, Love Jo-Ann , Barry and Crystal, and others have sent flowers to the family of Jacqueline Emily Simmonds - Hebert. Rebecca Missal, Christopher & Jonathan Jackson I have so many Beautiful fond Memories of Jackie from the time she was very small when I'd babysit her. Jackie was a Beautiful force to be Reckoned with. You absolutely knew when she walked into a room not only by Jackies free loving Spirit but along with her over all Infectious sence of Humor & Beauty. Jackie was the kind of person that was Extreamly Protective of her immediate Family when she was growing up , Her Sisters Glenda , Samantha were her World , along with being Jackie's Accomplice in many Childhood Activities. I always remember how Jackie Stuck up for the little Guys or Underdogs around her growing up she couldn't stand seeing someone being Bullied and Would Stand Strong & Tall beside the Person who was a Target , & Make it Clear that if you were going to Hurt anyone that you would have to go Through Her. My Deepest Sympathies go out to Jackie's Children, her Mother Lois, Sisters Glenda , Samantha & All Jackie's Extended Family , Friends . Sending Peace, Love and Strength. Our heart felt sympathy from Bryan & Judy Mckay; and family-Jake &Amy; Josh & Lyndsay; Christopher & Tammy, and Angela and C.P. Bryan Mckay purchased the Sentiments of Serenity Spray for the family of Jacqueline Simmonds - Hebert. Our hearts our breaking for all of you. May she rest peacefullly now. Love Jo-Ann , Barry and Crystal purchased the Vivid Recollections for the family of Jacqueline Simmonds - Hebert.